P2 million. That was the offer of the Yellows to Kian's parents. Their first job was to join that anti-tyranny thingy launching yesterday, where they were to be paraded as Exhibits A and B. They refused and went with PAO chief Acosta to Digong instead. Yes, some people, though poor, can't be bought. 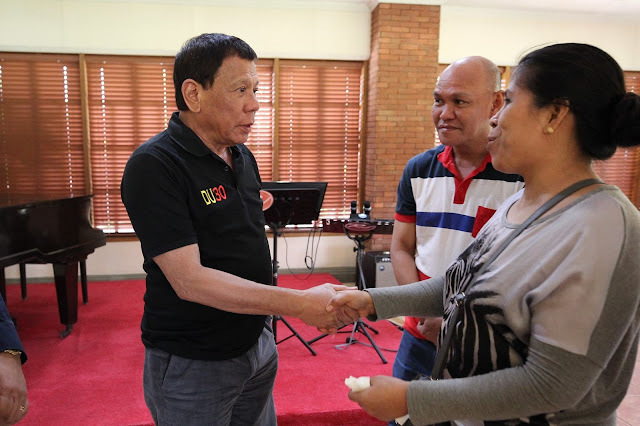 President Rodrigo Roa Duterte met with Lorenza and Saldy delos Santos, parents of the 17-year-old Kian who was killed in an anti-illegal drug operation. 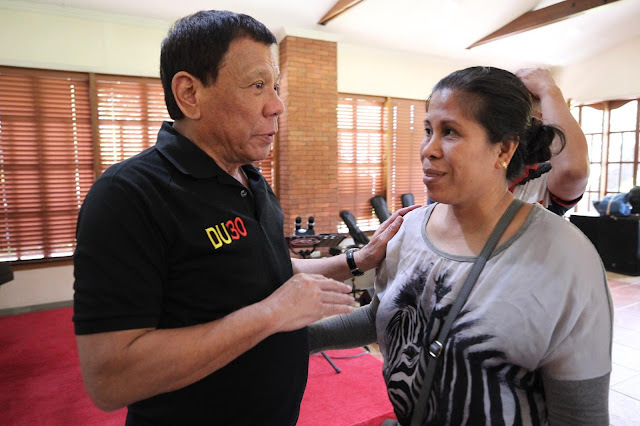 The parents of the slain teenager paid a courtesy call on the President at the Malago Clubhouse in Malacañang on August 28, 2017 so they could personally thank the President for assuring that justice will be served. During their meeting, the President reassured that there will be no interference in the case citing that only due process will prevail and that the handling of the case will be fair.